Business Hours: (Mon-Fri) lunch: 12.30pm – 3.30pm (Mon-Sat) dinner: 6.30pm-11pm. 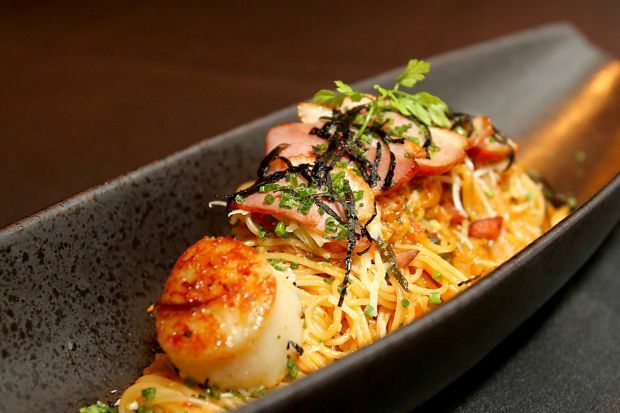 Hotel Istana restaurant’s new casual dining concept offers lower prices to appeal to diners. 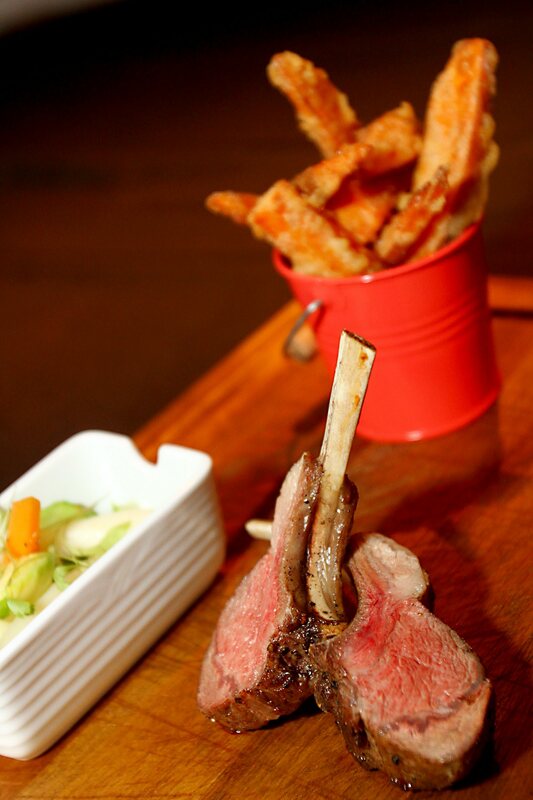 NOT many know of the existence of Urban, a semi-fine dining restaurant at the Istana Hotel. The eatery tucked behind the hotel’s sports bar was often deemed an expensive spot by guests given its outlook but its food and beverage director Tom Spaan begs to differ. “Everything served here is priced accordingly but guests shy away the minute our servers tell them that it is a fine dining outlet. “People feel they have to dress up and that is just too much of a hassle especially when you are hungry and just want to spend the evening over a good meal with friends,” he said. The management decided that Urban needed a new concept, moving from fine dining to a casual dining outlet offering a mix of Western and Asian cuisines in a contemporary setting. “We are not lowering our standards but rather our prices to be more appealing and attractive to our guests to come in and indulge our new range of irresistible dishes,” said Spaan. During our visit recently, the hotel’s sous chef Ismail Yusoff came up with a sampling menu to give us a brief preview of the variety of dishes which will be available. To start off our night, he offered us a basket of homemade buns in charcoal and olive flavours together with slices of garlic bread and a small serving of fresh tomato bruschetta. We were not alone as Spaan and two of his staff members Hasmah Ahmad and Kenny G decided to join us for dinner as well. Dishes came in one serving hence we had to pass the plate around for everyone to have a spoonful of every item. At some point, it did feel as though we were judges in a cooking reality show marking down Ismail’s dishes for the day. My favourite part came when Ismail brought out two bowls of salad. The first was the Salt and Pepper Squid followed by the Traditional Caesar Salad with Tagarashi Garlic Prawn, which gave a refreshing start after nibbling on the olive buns. It was then followed by Wagyu Rib Eye Steak and French Cut Lamb served with crispy homemade fries. Wagyu Ribeye Steak served with homemade Sweet Potato Chips. 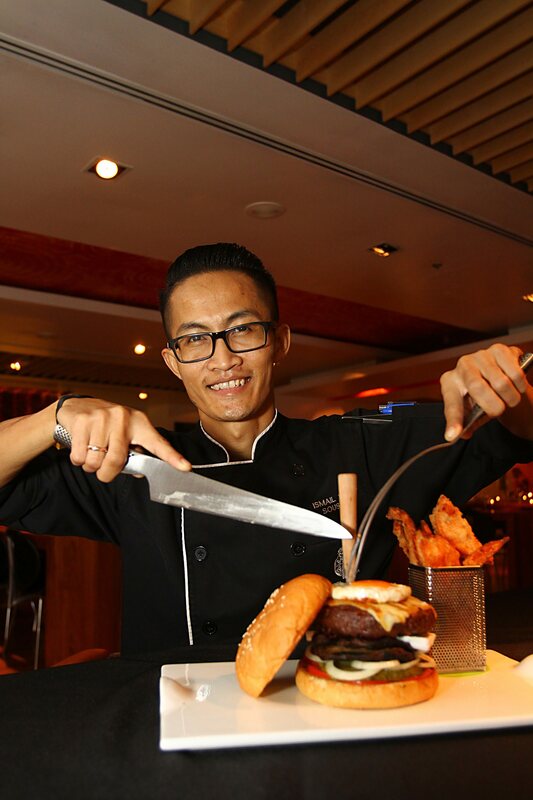 His signature Urban Tower Burger filled with a juicy piece of beef patty coupled with slices of beet root, Brie cheese, egg, Portobello mushroom, pickles and tomatoes all wrapped between two sesame buns. “Everyone loves a good warm burger on a cold night and we offer just that,” said Spaan, adding that he wants his guests to feel warm when dining at the outlet. Next we tried the Codfish with Asian vegetable served with a dollop of Laksa foam but my personal favourite was the Kimchi Pasta served with Angel hair spaghetti, kimchi, served with scallops, duck and seaweed (top pic). Although I am not a big fan of the Korean pickle dish, the combination hit all the right notes with a perfect hint of spiciness to give an Asian twist to the Italian noodle. For desserts we had the Strawberry Romanoff, a Cheese Platter and Gratinate Mixed Berries with Sabayon. 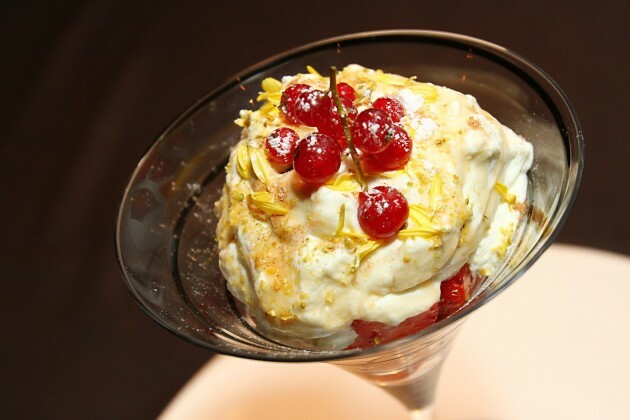 Strawberry Romanoff is made out of whipped cream, fresh strawberries and topped with mashed nuts. If you happen to be dropping by the outlet in the evenings, you will be entertained by their in-house pianist who plays daily from 8pm.